Hi Julie. I wanted to share with you another Craig's list success story with you. 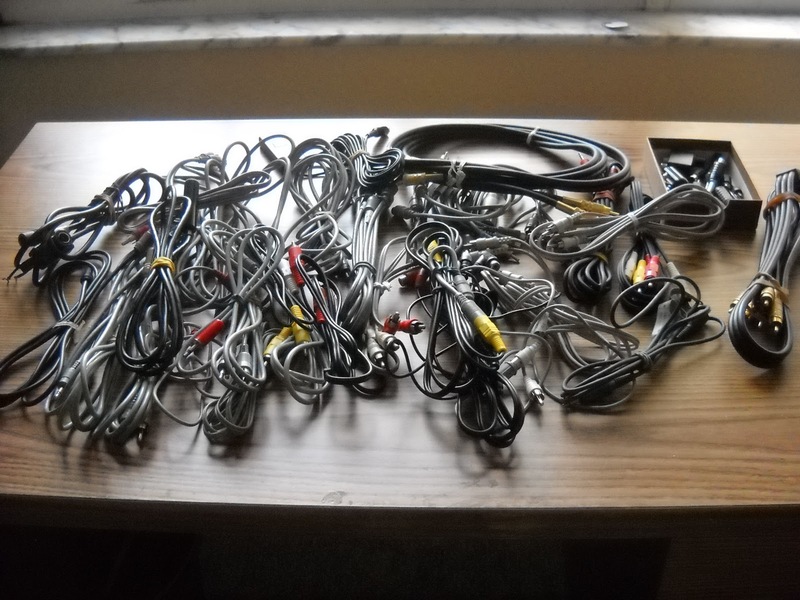 I recently disposed of my collection of old computer parts, cords and cell phones. Well, it was actually a collection that I dug out of the trash at work, plus a few additions of my own. I knew I could redirect it one way or another, and just couldn't feel good about "turning the other cheek", and ignore the problem of others trashing it. My town has a yearly electronic waste collection, but I thought I just might be able to get rid of is sooner, than stash it till the spring, and potentially miss the collection day. My good friend "Craig" is great for helping me find new homes for my unwanted stuff. I posted the e-waste on Craig's List, and found a taker. He told me that he collects old computer parts to rebuild them and give them to others who can't afford to buy new ones. His collection times were from 6am-12pm, and since I work really early, the 6am was perfect. I was a little hesitant, simlpy because I am nervous about creeps posting and answering ads on the internet. It didn't help that the guy said I could put my computer parts, cords, and old cell phones in his yellow pickup parked outside Office Depot. (Appartently Office Depot collects e-waste for recycling, but charges you), but since the guy offered a free service, I risked the dark parking lot at 6am. So, I loaded it up, and made the decision to drive by, and if I saw anyone or felt uneasy, I'd keep driving and find a new home for it. As I pulled into the parking lot, looking for the yellow pick up, there it was, an old beat up yellow truck, with no window on the back end, making it very convenient to toss the box into the back of the truck, quietly thanked Ben, the Craig's List taker, and drove off into the sun rise. Craig's list has become a huge resource for me to find new homes for stuff. I'm surprised at the things I've gotten rid of, made money on, or worked out a trade. If we could manage to redirect, and utilized things more creatively, the world would be a better place. Plus, it can make for fun dinner conversation. Thanks so much for your comment. I have had wonderful Craig's list experiences too and have been amazed by the things that have found new happy homes through the process. I have met lots of wonderful people, many like Ben. I've often let things go for much less than they are really worth, but I've never felt badly about it, even the few times I've thought that the person might just turn around and sell it on eBay for more money. The exchange itself has value and knowing it's going to someone who really wants it is worth a lot to me. What I like most about Craig's list is that it forces us to interact in a way that has become too foreign for too many of us. Love the Craigslist idea! So much easier than a trip to the thrift shop, 20 minutes away. 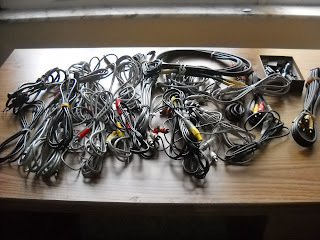 And just for kicks, my husband saw the title of the post and said, "A box of wires? I have a bunch of those! Does she want them?" LOL. Sigh. Julie - so very cool! I just discovered your blog. It reminds me of those little houses you once showed me at work. Hope you're well.